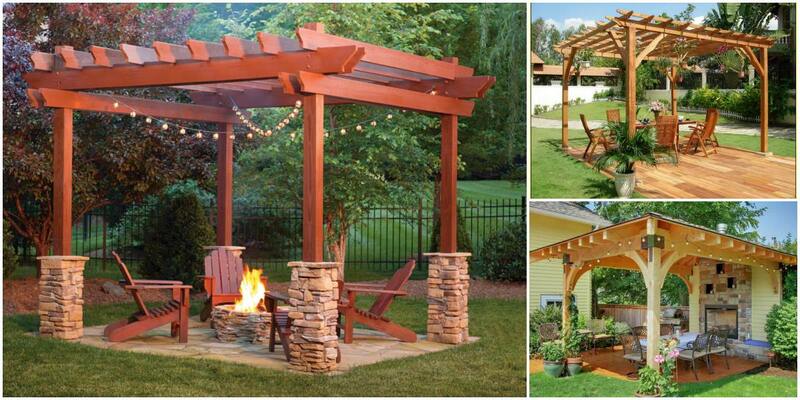 By definition, a pergola is a structure or framework formed by two parallel rows of columns or pillars that support a roof, beams, transversal belts or a lattice, on which climbing plants are usually intertwined. Pergolas can be independent or be connected to your home; They are usually designed and builded to connect a shady promenade to a relaxation area. Whether it is a passage or relax area, the pergola need to be cozy, comfortable and spacious to enjoy. Today, we will show you 19 ideas that we have especially selected. Let’s enjoy and go ahead with design your patio, terrace or garden! 7. Pergola in garden adapted with a family swing, for relaxing afternoon. Tell us what is your favorite and why. Remember that whatever you do must go in perfect harmony with both designs and colors for the best visual appearance.